Posted in Accidents by Mikhail Voytenko on Dec 12, 2013 at 07:25. 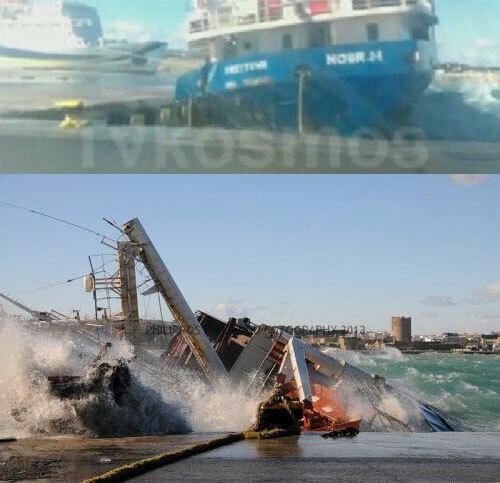 Notorious general cargo vessel Nour M capsized in port of Rhodes on Dec 11 13 in a stormy weather. 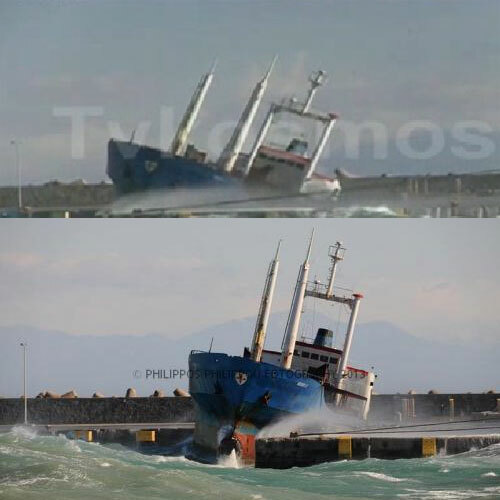 Vessel was moored to a berth open to sea and wind from a direction storm came from, waves and wind battered her against berth until she capsized portside and rested partially on pier wall and partially on the bottom. Photos and pics taken from local media. 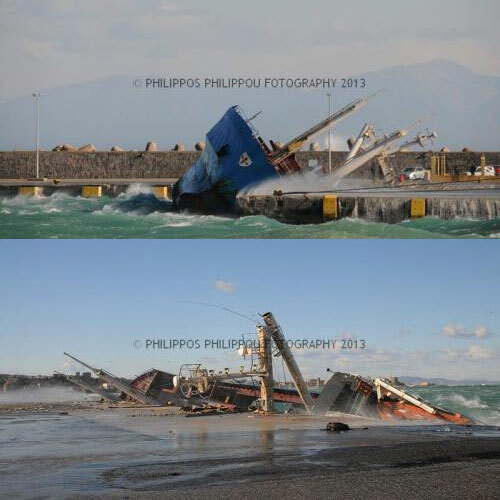 Greek Coast Guard reported the offloading of containers from m/v Nour M, which commenced on Nov 13. The offloading was to be completed by the evening Nov 13. Earlier CG said, that arms were found in 8 containers. According to Ukrainian officials, vessel was carrying a shipment of arms and ammunition destined for Libya, under a fully legal contract. 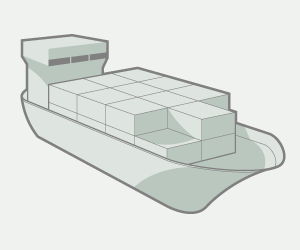 The shipment, in accordance with the terms of transportation contract, became a Libyan property from the moment it was loaded on board (FOB). Media is reporting interception of a Lebanese general cargo vessel Nour M on Nov 8 13 in Aegean sea, with a shipment of arms and explosives on board, referring to information issued by Greek authorities. 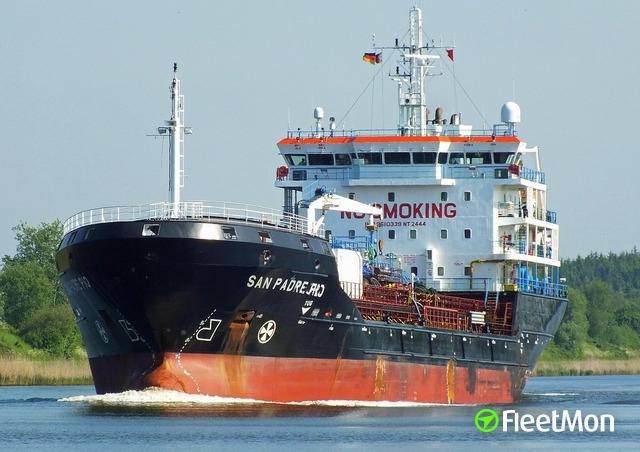 Vessel underway was intercepted in Greek waters off Sami island, and taken to Rhodos port for investigation. Some 20,000 AK-47 assault rifles and explosives were found, according to media. Destination of arms remains unclear. 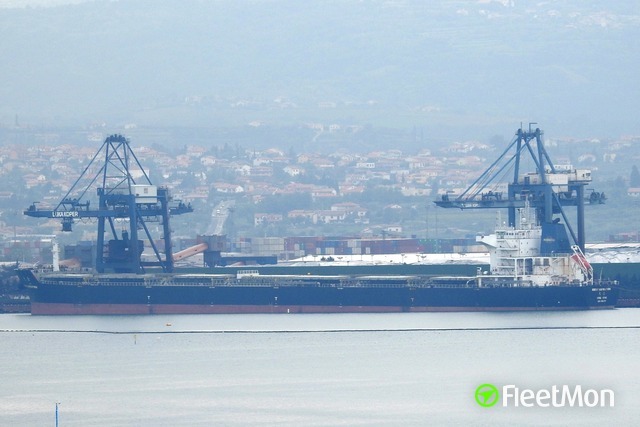 According to FleetMon.com AIS data, vessel was bound for Tripoli. Vesseltracker.com AIS info left destination position blank. Vessel departed from Nikolaev port, Ukraine, on Oct 25, next stop was Istanbul, where vessel stayed from Oct 30 until Nov 3. 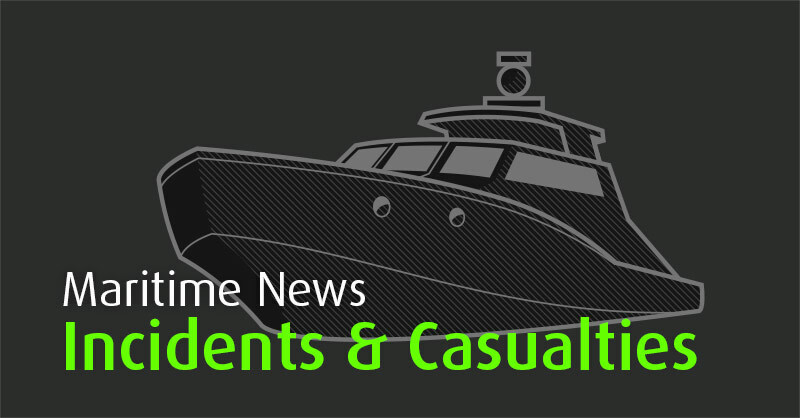 The question arises as to what the vessel was doing in a period from Oct 25 till Oct 30? It’s some 30-40 hours sailing from Nikolaev to Istanbul for a slow-steamer Nour M. Where the vessel was during four days? Why such a delay and why such a prolonged stay in Istanbul? Media are speculating on arms destination country, naming first of all, Syria. Obviously Greek authorities did have some information when they intercepted the vessel, or else why should they do it? 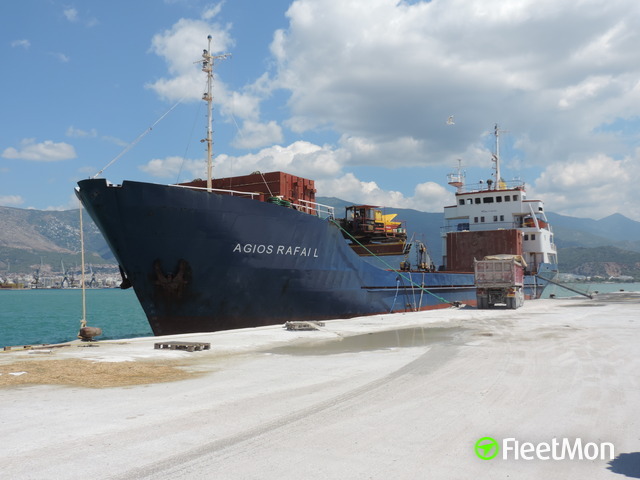 Vessel was docked in Rhodos, as of morning Nov 9 13 she’s berthed in Rhodos. General cargo vessel Nour M, IMO 7226627, dwt 2176, built 1972, flag Sierra Leone, manager UNIMARINE MANAGEMENT CO, Tripoli, Lebanon.